Justification is one of the great central topics of Christian theology. 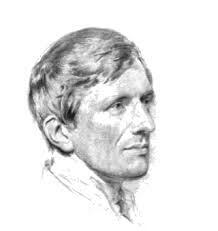 Unfortunately, as the title of this essay indicates, Cardinal Newman’s Lectures on Justification have been ignored by many contemporary theologians. Dr. Penaskovic defends these lectures as a “relative theological classic.” We whole-heartedly agree and in the hope of furthering interest in what we trust will eventually be recognized as a “timeless classic”, we happily present this article. This essay consists of three distinct but overlapping sections. Part I contains a reflection on the meaning of a classic. It draws its inspiration from the works of Frank Kermode, Hans G. Gadamer and, indirectly, David Tracy’s The Analogical Imagination. It is suggested that the term “classic” still has its usefulness today and may be applied to the area of theology analogously. Furthermore, it is suggested that a classic has two dimensions, a normative and a historical one, a timeless dimension and a time-bound one.